How often are you tempted to leave the desk job behind and get out and about and explore the world? In this day and age, it honestly isn’t all that hard to do! Luckily, there are so many different types of digital nomad jobs out there that your dream could totally become your reality. When it comes to working on the road, adventures by Disney jobs are worth looking into! If you are interested in other options be sure to check out our post on How to Work for Disney From Home. If you’ve never heard of what Adventures by Disney jobs entail and what it has to offer, you definitely need to check it out! Here are the highlights of the position for you but make certain that you do your own research as well. What does an Adventure Guide actually do? Basically, an adventure guide is the one that makes certain that the family is having a great time! Does the family need anything? The adventure guide can help. An adventure guide can even stay and have dinner with the families during their trip if that is what the family wants! Adventure Guides should be able to share their love for travel with guests. They should appreciate various destinations, cultures and people. In a nutshell, an adventure guide makes certain that the family has adventure, fun and helps to create great memories that they will remember for a lifetime. Does this sound like your dream job? Then maybe Adventures by Disney jobs are the perfect job for you. Interested in other Disney work from home options? 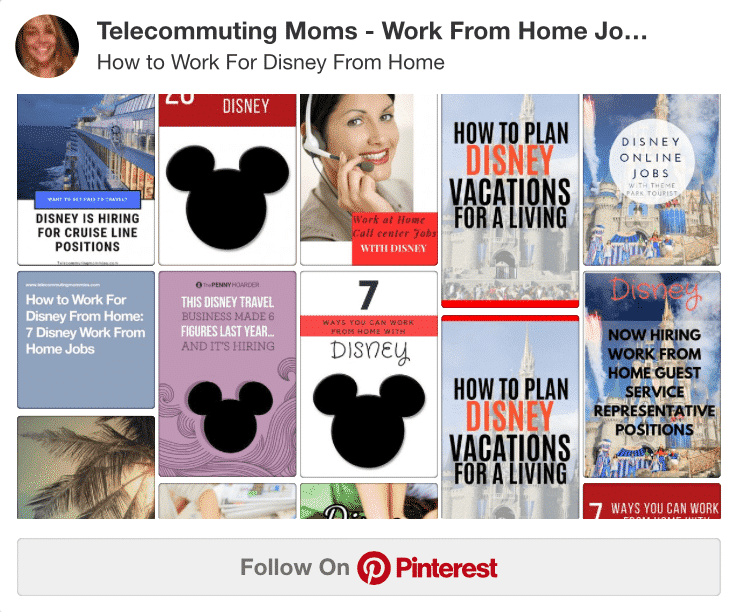 Check out our How to Work For Disney From Home Pinterest Board. 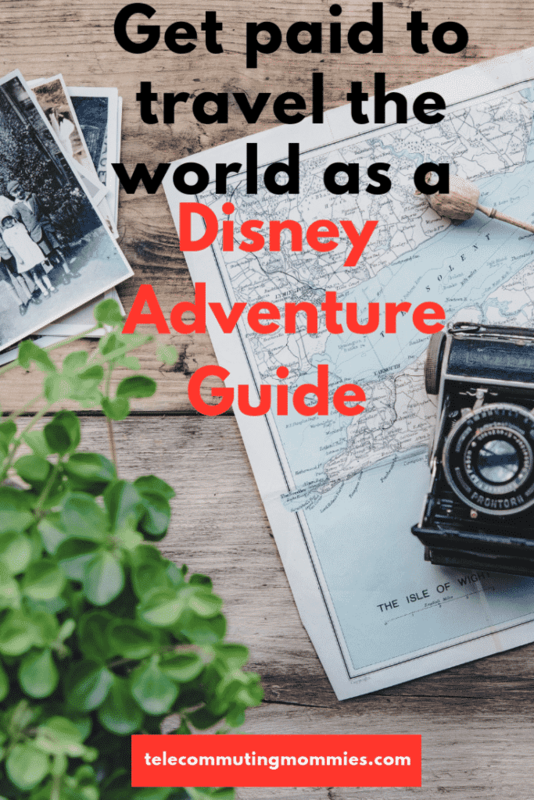 How does one become an Adventure Guide with Adventures by Disney? There are a few requirements that applicants should possess before applying to this Adventures by Disney job. Hours during the day can be long so adventure guides may be scheduled for up to 14 hours per day. Plus, most “shifts” happen in 6 months timeframe so availability for 6 months is a must. A few other requirements are to have high energy, amazing customer service, an upbeat attitude and be able to share a room with another adventure guide of the same gender. Another major requirement is that Adventure Guides have to become CPR certified. There are a few other requirements as well so make certain to check them out HERE. It is also noted in the job description that Adventure Guides are paid an hourly rate that is competitive in the industry, plus all the travel costs and meals are compensated as well! While some people dream about traveling around and seeing the world, you do need to ask yourself if the digital nomad life is right for you. For some, it’s super exciting but for others, it can be a time of uncertainty. Before accepting any type of traveling job, always weigh out the pros and cons of the offer. Think about where the job is going to take you and decide if that is somewhere that you want to travel to and live at for a duration of time. Also, do your research when it comes to the cost of living for the area that you’ll be working in as well. You don’t want to accept a position and then find out that your wage just isn’t going to cover any of your expenses. Last but not least, understand that becoming a digital nomad doesn’t have to be your “forever” job. You can take a job and experience what it’s like to work on the road, and then always have the option to return home after it’s over. Whatever choice you make in life about your future career path, just make certain that you always research the company that you are applying for to ensure that you’re employed by a solid and reputable company. If working for Disney has always been your dream, this Adventure Guide open position may be exactly what you’ve been looking for!